Some time ago I’ve got an old computer for free. Nothing happened when I tried to turn it on, so I assumed that the power supply is broken. It is a small IBM computer in a horizontal desktop case. It has a power supply integrated on motherboard. There are some capacitors that look damaged, so it can be a simple solution. I still don’t have an ESR-meter, so it is a good reason to build one. I’ve checked several designs and decided to build the one from dr. Le Hung. It is quite accurate, easy to calibrate and has a lot of additional functions. The main drawback of its solution is lack of source code for the microcontroller. It means that it is impossible to add more functions, change something or use a different MCU. 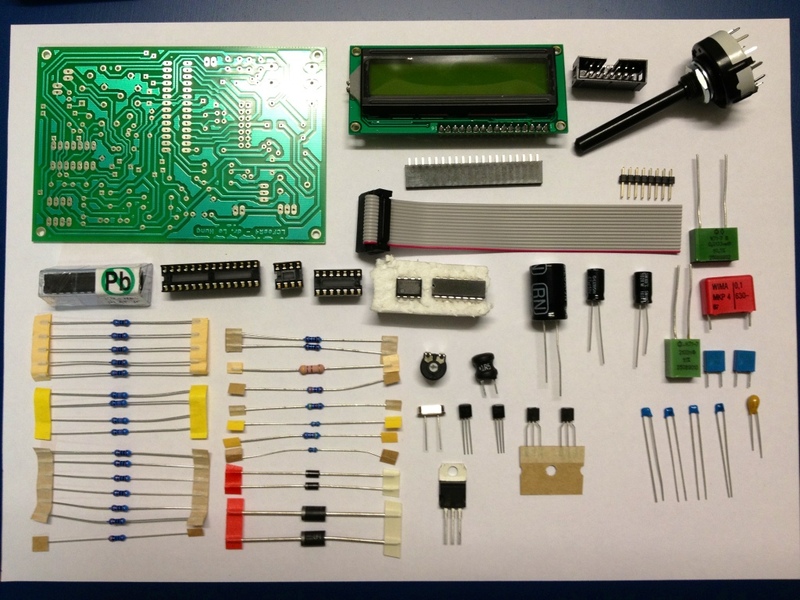 From another point of view, Le Hung sells DIY kits with a preprogramed ATMega microcontroller and checked high tolerance components, which helps to avoid a complicated calibration process, so, I’ve decided to order the kit. It took about 2 weeks to arrive. It affected the PCB size as well as a need of jumpers. I’ve counted 15 of them, so make sure you have a proper wire for this. 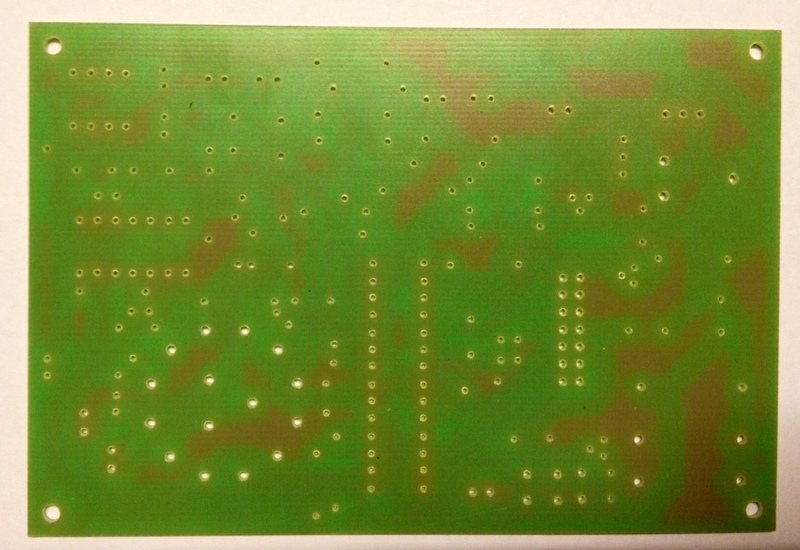 Also, there is no silkscreen on the PCB at all. I had to use a PCB draw to make sure that proper components are used, which increases chances of a mistake. There are several Russian made capacitors in the kit with good stability and tolerance. Le Hung assured me that he checks them all, so there shouldn’t be any problems. All ICs are mounted in sockets which is important for beginners. Unfortunately, aluminium caps in the kit are G-LUXON branded. It is probably all right for the big bipolar cap because it doesn’t have a lot of stress in this schematic, so I’ve decided to keep it. But I believe that it is not the best choice for the two power supply decoupling caps. Despite that they are in a working condition, it is only a matter of time. I’d recommend replacing them with a good brand capacitors. I put it into the draw with other useless stuff just in case if I need them to repair something urgently. For 5V conversion the good old 7805 is used. It is all right if the device is going to be used with an external power supply. But it is not the best solution if 9V battery is going to be used. 7805 has 2V of voltage drop, so the device will stop working when the voltage is reached 7V, but a battery still has 25-30% of its charge. 9V batteries are quite expensive, so it is not wise to throw it away with a quarter of its capacity still left. To avoid this, a modern one has to be used. I chose LF50A which has a voltage drop down to 0.2V. It means that the device will be working until the battery voltage reaches 5.2V which happens when the battery is almost completely flat. LF50A has 1% output voltage tolerance which is important for a measurement device. Its retail price is less than $1 and these money will be saved on the first battery. 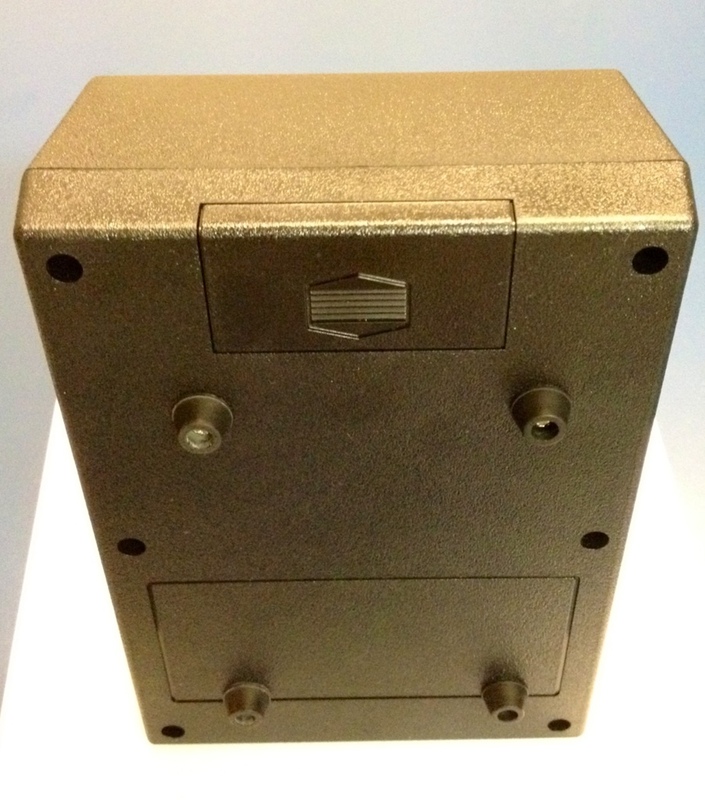 Its pin out in TO-220 case is the same as 7805, so there are no PCB modifications required. But input and output decoupling capacitors C1 and C11 have to be replaced with ceramic 0.1uF and aluminium 2.2uF respectively. It shouldn’t be a problem, because C1 and C11 are those G-LUXON capacitors that went to rubbish bin anyway. Le Hung suggests to use 8.4В rechargeable batteries instead of 9V batteries, but even in this case I believe that the voltage regulator replacement is beneficial, because it will increase time between recharges and improve a lifespan of a battery. It was a piece of cake to solder it all together, thanks to the solder mask and big pads. It was ready and running by the end of the night. It didn’t require any adjustments apart of the display contrast with a trim pot. It also took a while to mount the case. 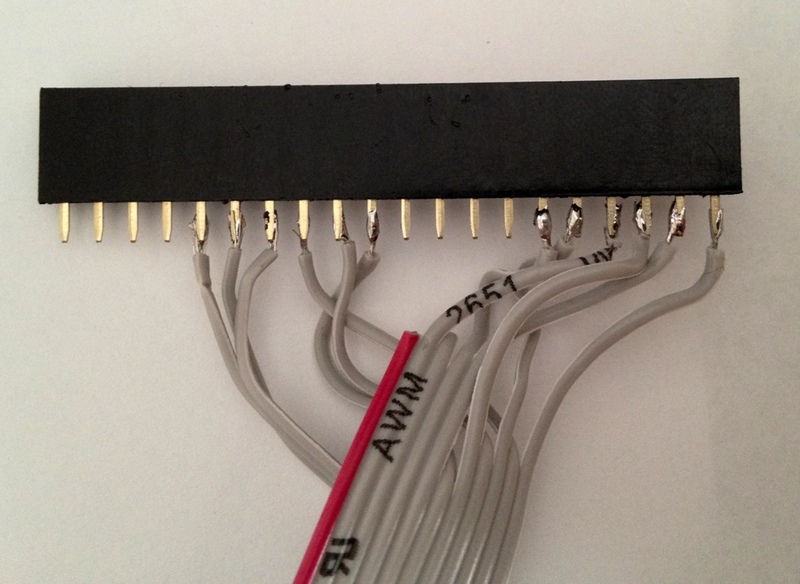 I’ve soldered the wires to the PCB as Le Hung recommended to improve accuracy. The test proved high accuracy of the device. Le Hung is very good in communication which is a great benefit of the kit. It is a very good weekend project for hobbyists with different skills. Its drawbacks are easy to fix and they don’t affect the functionality of the device. 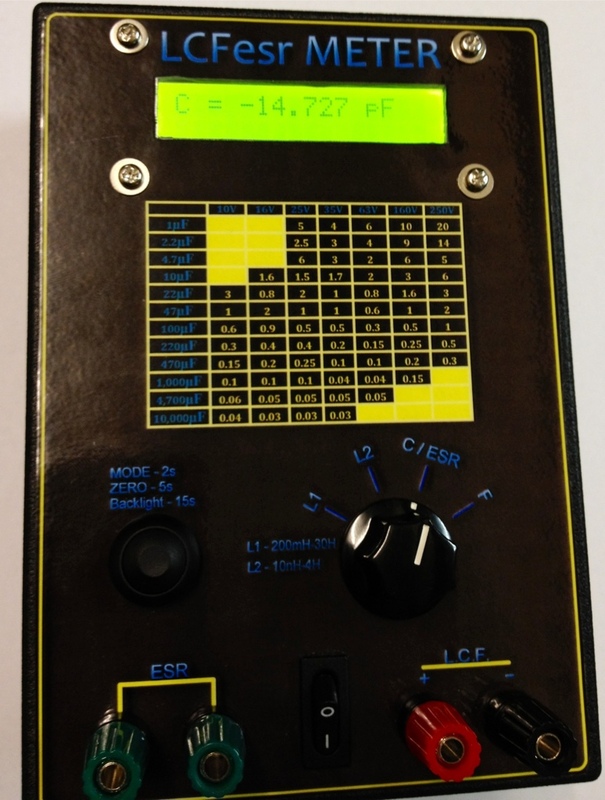 If you want to build an ESR-meter for yourself as well, I’d recommend taking a closer look on this kit. See ya!